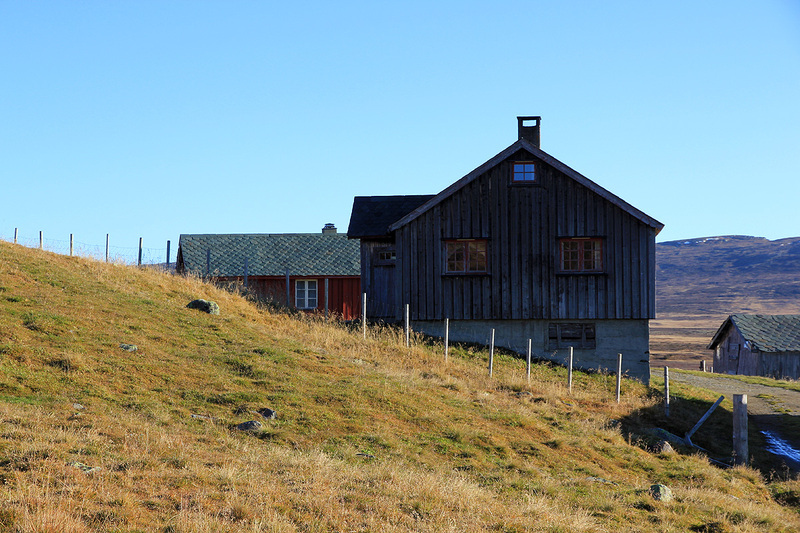 How to get there: A good point of reference is the village Fagernes on Hwy. E-16 connecting Oslo and Bergen. In Fagernes, take Hwy. 51, sign for Beitostølen (that is a right fork if coming from Oslo). Measure from here. Follow Hwy. 51 north for 20.6 kilometer. Locate a road that forks right with the sign Robøle and Yddin 7 km. Take this road, turn right at kilometer 23.6, the sign says Yddin 4 km. You then run into a self-serve toll gate at kilometer 23.8. The toll is NOK 40 (2010), to be paid with coins into the machine. From here on, stay on the main road, there are a number of smaller side-roads. Near kilometer 33, you cross a bridge, continue along the right fork, which is basically straight ahead. At kilometer 32.2, take the right fork, then continue to kilometer 39.9, there is parking on the right hand side of the road. This location is N61:16.557, E009:13.957, elevation about 1120 meter. Park here. The DNT self-serve hut is straight ahead, you need the DNT standard key to open the locked cabin. Walk to the DNT hut or to the building just a bit above it. 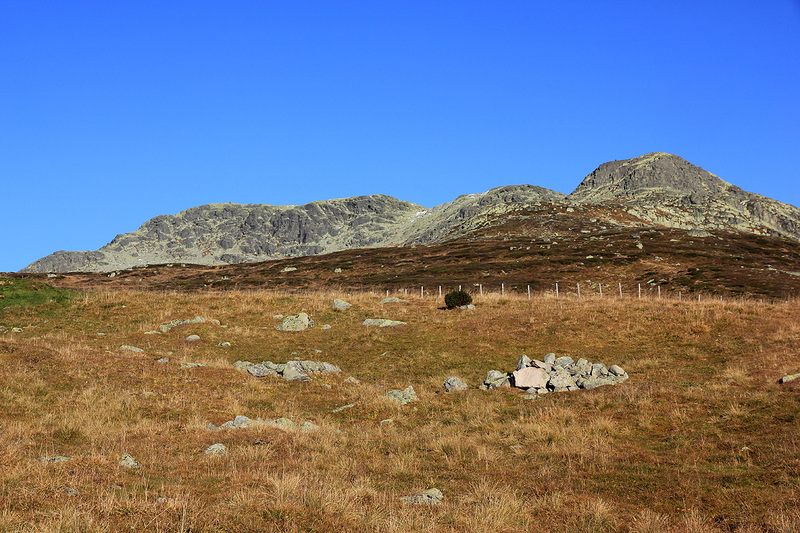 On the far side there is a trail that runs to Skaget. There maya be a small sign saying "Fjellstafetten". Take this trail as it gains elevation and heads into a basin just below the mountain. Higher up there is a fork. The right fork is a cairned route to the summit. The shortest route is likely to continue straight ahead, then take the broad gully (off-trail) that climbs on the right side of the summit area. 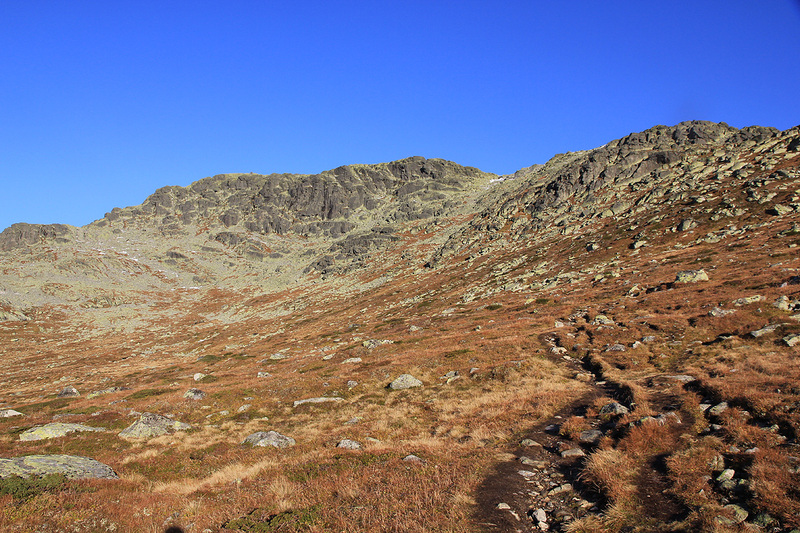 The trail that runs right first climbs a broad shoulder, then turns more left and climbs the "false" summit. 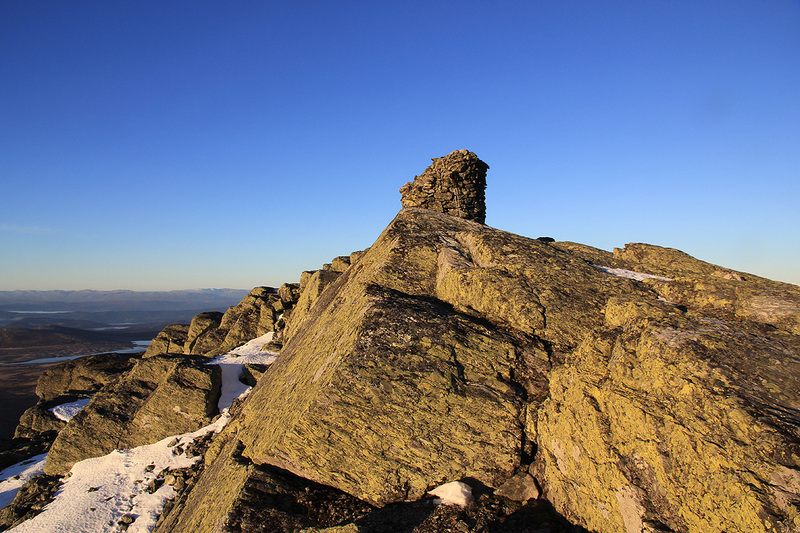 Across from it, you will now see the big cairn on top of Skaget. Continue along easy slopes to the highest point. I was on my way to my mounatin cabin in Lillehammer. Started after work from Bergen, fianally in the car by 1845. The 6 hour drive to Lillehammer could be somewhat reduced by staying overnight at the DNT self-serve hut called Storeskag. 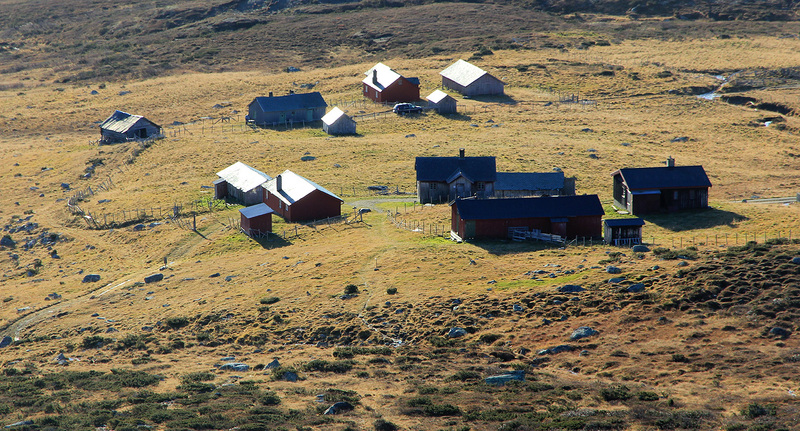 I could then climb Skaget before proceeding to my own mountain cabin. Arriving at midnight, I took my headlamp and my sleeping sheets, unlocked the door and went straight to bed. 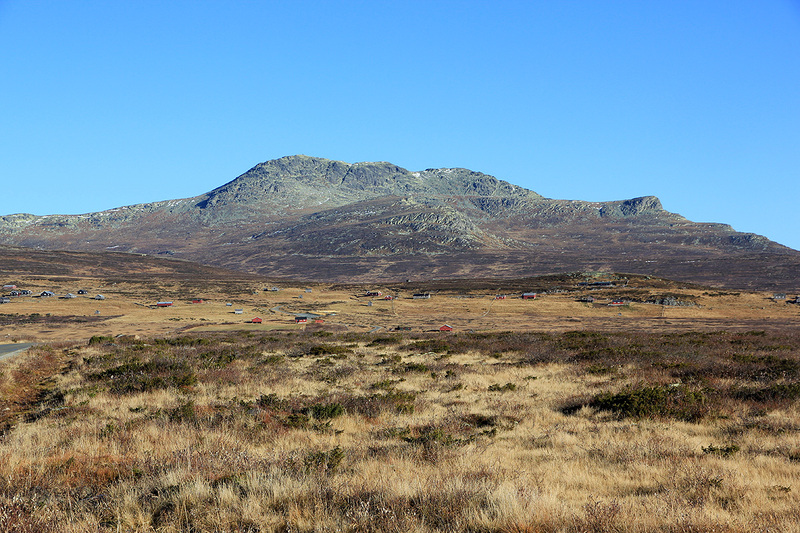 I woke up around 0630 and decided to do the hike, then get some breakfast in Fagernes. I started out at 0725, just as the sky was turning red announcing the sunrise in a few more moments. By 0825, I was sitting at the summit and looking at the great view this peak can offer. It was a beautiful morning and no wind. The early morning sun striking Jotunheimen, a magic world. I rested, took pictures, then just sat down by the cairn and allowed my mind to wander. I am having good moments at summits like this one. Life is so short, so fragile and so full of surprises, both good ones and pretty awful ones. However, a moment of silence, to be allowed to just be part of nature, a small part and nothing more, it sure gives me peace of mind. I left around 0850 and strolled back down in about 55 minutes arriving at 0945. The big Valdres valley was full of fog, what a striking difference. 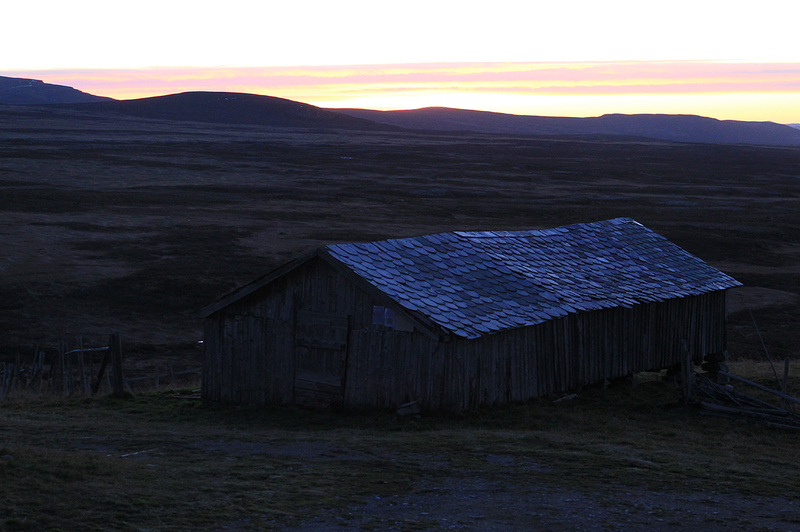 I continued to my own cabin where many small duties and tasks awaited me before the place is prepared for winter. Skaget, seen from the (local) road. The summit is left. The route ascends the shoulder, then follows the skyline. 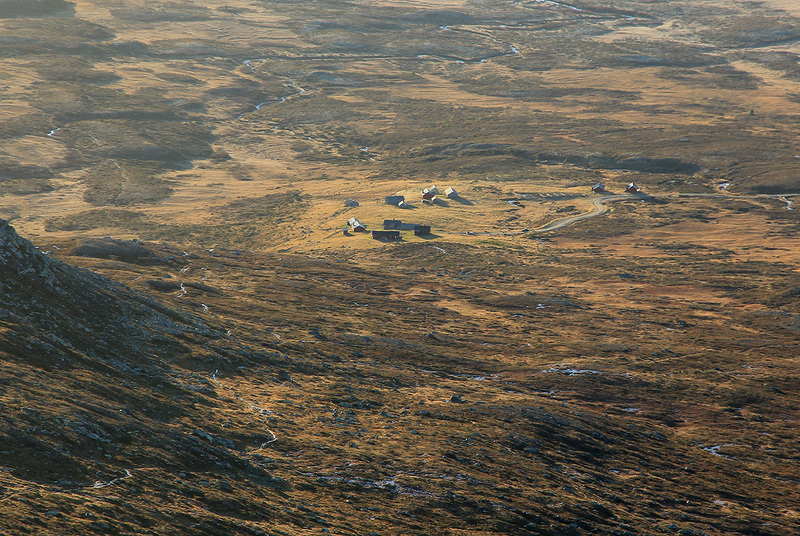 Skaget, from Storeskag. The summit is far left. Langsuen, neighbor to the east. 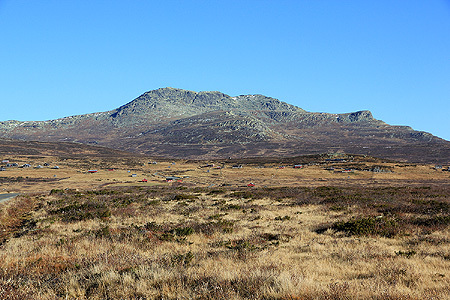 Summit Panorama I, north-west to Jotunheimen. 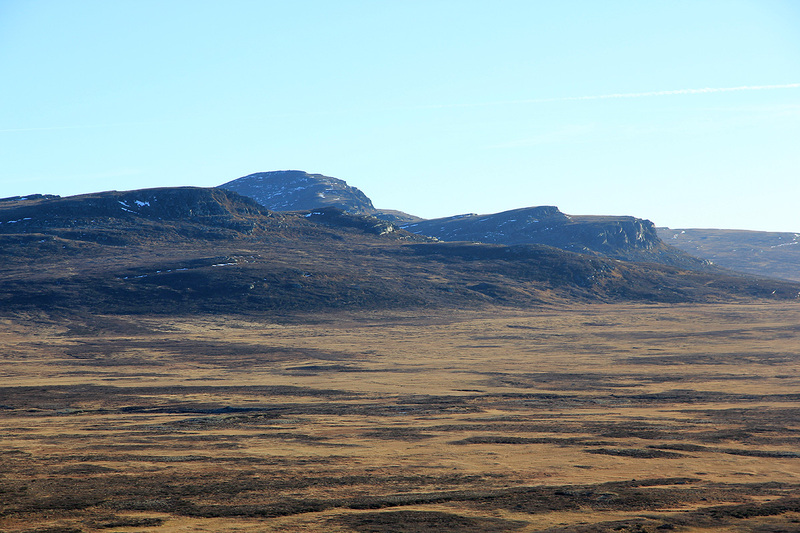 Summit Panorama II, north to Dovre. 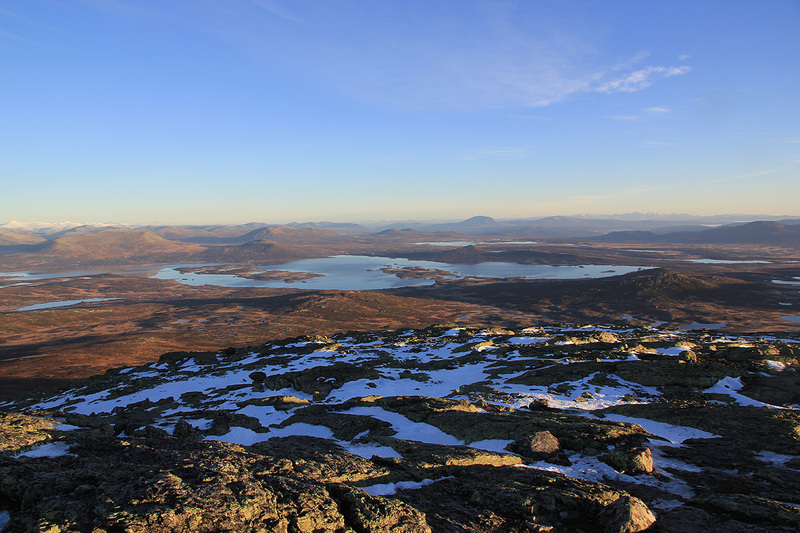 Summit Panorama III, north-east to Rondane.